This may look like a regular toy box, but parents have been raving about this toy storage solution. 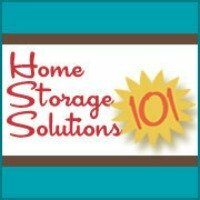 The reason is that it is different than more traditional toy storage boxes, which are generally made of harder (and heavier) materials. This toy storage box is actually soft sided, as the name suggests, and is collapsible when not in use for easy storage. The advantages of having a soft sided box are many when you have little kids around. The most obvious is that they don't run into and hurt themselves. Less obvious, but actually an even better feature is that there are no heavy lids which can slam on little fingers. It also means that the box is much lighter, which helps you drag it around to many locations in the house to bring the toys with you as you need to move from room to room, keeping your child entertained at the same time. 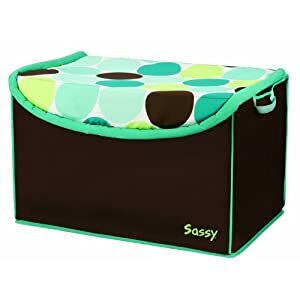 The Sassy soft sided toy organizer box is very roomy too, meaning you can fit lots of toys in it at once, getting them off your floor. The disadvantage of having a soft sided box like this is that you can't stack the boxes on top of each other, and also that if you child tries to pull up on them, say for example, when learning to walk, they will not support her weight. These, in my opinion, are a small price to pay for such a convenient and useful toy storage solution for your home.